Our website https://retrodentalbroomfield.com and associated web pages are not designed to and do not provide any medical, or dental related advice to any specific individual. All content within the aforementioned website(s); including text, graphics, images, video, and any information available on, or throughout this website are for general informational purposes only. The internet content contained herein is not designed to be a substitute for professional medical or dental advice, care, diagnosis or treatment. The staff of Retro Dental Broomfield and https://retrodentalbroomfield.com recommend that you never disregard any professional medical or dental advice, or delay in seeking it, because of what you have read, heard or seen on our website. Thank you. 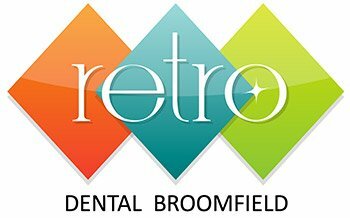 When you walk through the doors of Retro Dental Broomfield, you will be immediately greeted by a friendly member of our team. Copyright © 2018. Retro Dental Broomfield. Designed and powered by KickStart Dental Marketing.